Milano-Sanremo - 17 March 2013, this Sunday! Whether you call this race Milan-San Remo or Milano-Sanremo - just watch it! To set the mood for this extremely prestigious one-day 298 km race - first take a look at a great collection of photos by Cycling Tips : Milan-San Remo :: Moments in History. And then read this story: Milan to Sanremo, When Fausto Coppi Stopped for a Coffee on the Way to Victory. Then go directly to the official race website for the 104th edition of this often epic race at Milano-Sanremo, where you should resist clicking the small British flag to change to English language. That's right, try to navigate and discover in Italian - if the new Pope can do it, so can we (A quick tip - silence the Matt White videos). Route maps - 298 glorious kilometers with a sprint finish! 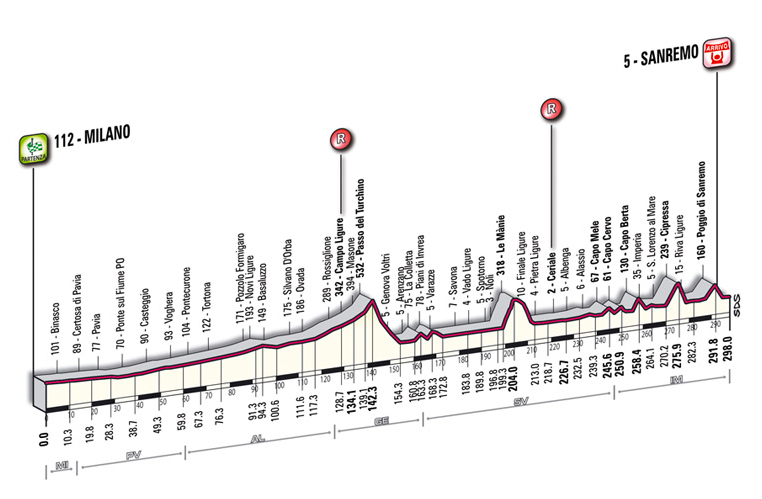 Profile map 2013 Milan SanRemo. Or view the complete 32-page official guide done with Italian style. Read over a preview of the race for 2013: By my favorite race tactician Frankie Andreu (his picks are spot on) Race Preview: Milan-San Remo, "Every racer thinks they have a shot, if they can drop the sprinters." Or by Mikkel at C-Cycling: Milano - San Remo: Preview and Favorites, "there is only one true favorite for this race; Peter Sagan." Or read the lengthy preview by a very knowledgeable reporter Ed Hood: PEZ Previews: La Primavera. 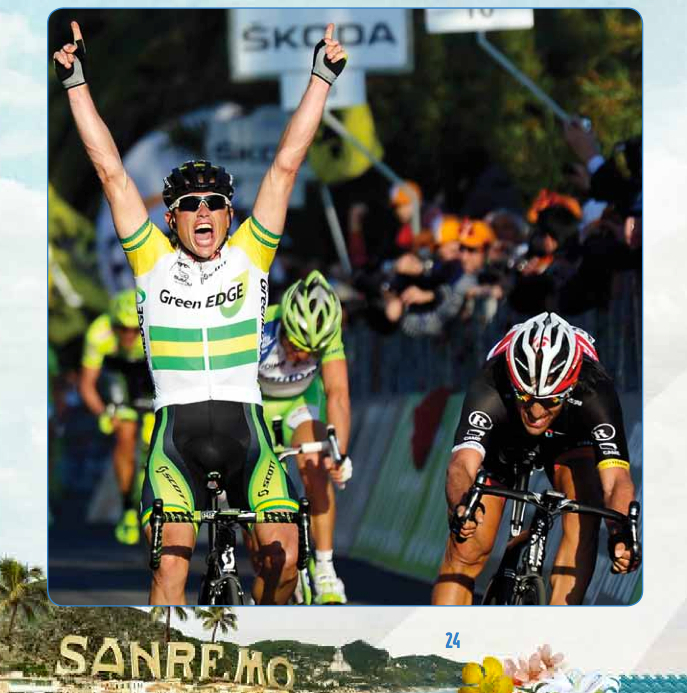 Promo video: Milan-San Remo promo by Cycling Central (available for 3 days). 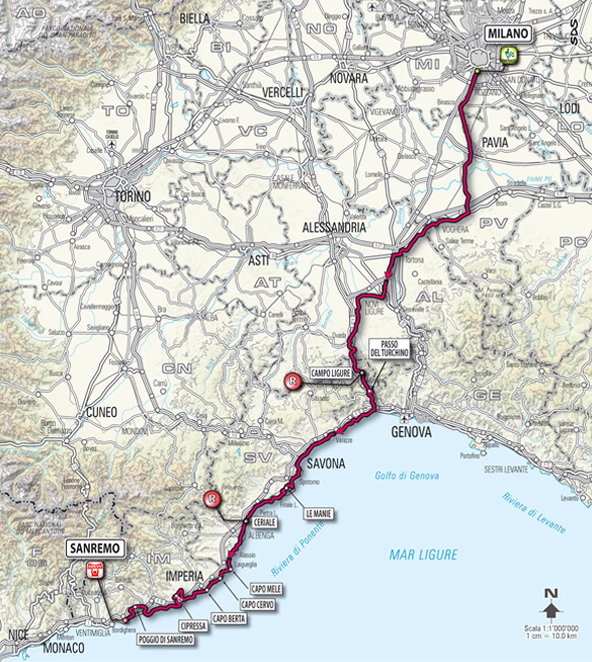 Plan on popping up Steephill.TV to watch live coverage very early this Sunday morning (St. Patrick's Day): 2013 Milan-San Remo Live Video, Route, Teams, Results, Photos, TV. I always recommend opening a second browser online with live text coverage by Cyclingnews, this way you can truly know which riders made the break or are falling off the back on the climbs (something TV coverage does not always convey). Open http://www.cyclingnews.com/milan-san-remo coverage from 8:30am CET (European time) on Sunday morning (that's a little early here!). I won't be watching at 12:30 am but I will rise early to see the final kilometers. 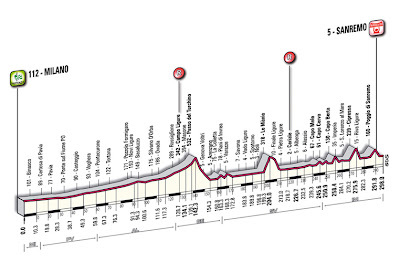 Milan-Sanremo is a race in which I want to see the faces of the winner and loosers after 298 km of racing. Tough tough men win this race. M-SR is a career maker, I can't wait to see who the next victor will be. 2. The Cathedral (Duomo); every city in Italy has one. 3. L'Ultima Cena museum, the location on the Last Supper painting. 2. 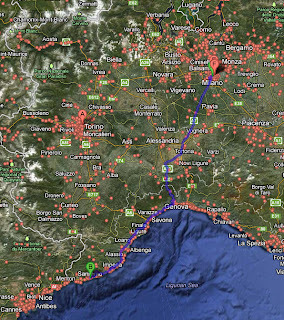 A bike ride from Sanremo to San Lorenzo on the old railway cycle path (24km along the Liguarian coast). 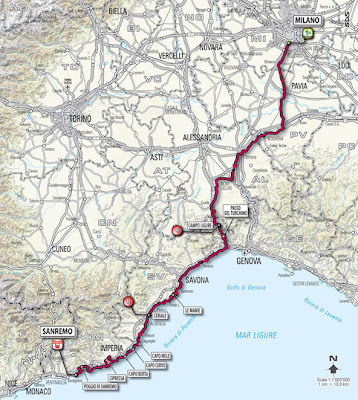 Check out the route of the 2013 Giro d'Italia in May, this year Stage 13 of the Giro, from Busseto to Cherasco, will cross the route of Milan-Sanremo. 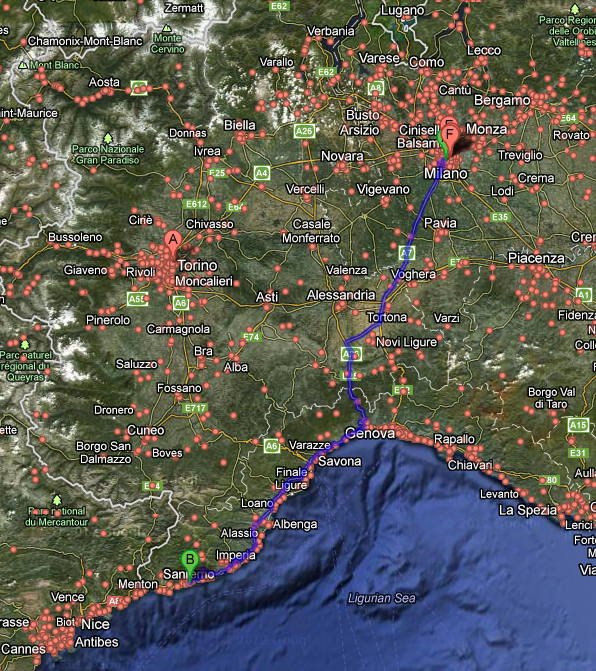 Here is a map that I think is of equal importance - all the pizza places near the route of Milan-San Remo. It is Italy, and racing makes me hungry. That's a lot of pizza!